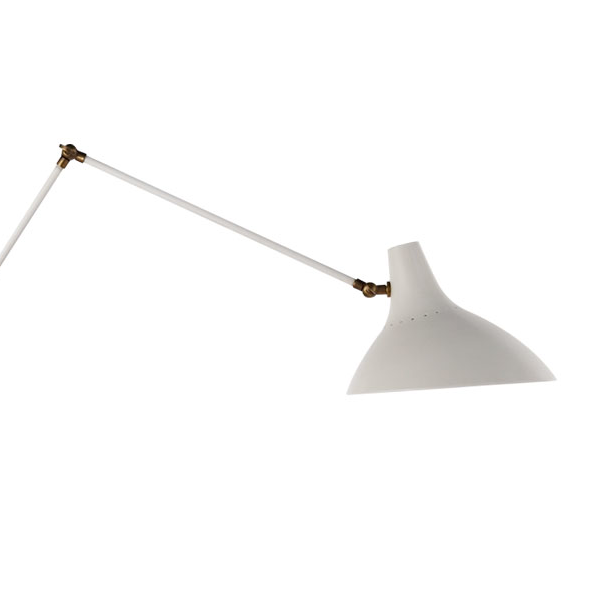 A sleek floor lamp in plaster white with antique brass fixings. Charlton is designed by AERIN, with just enough European design-led chic. 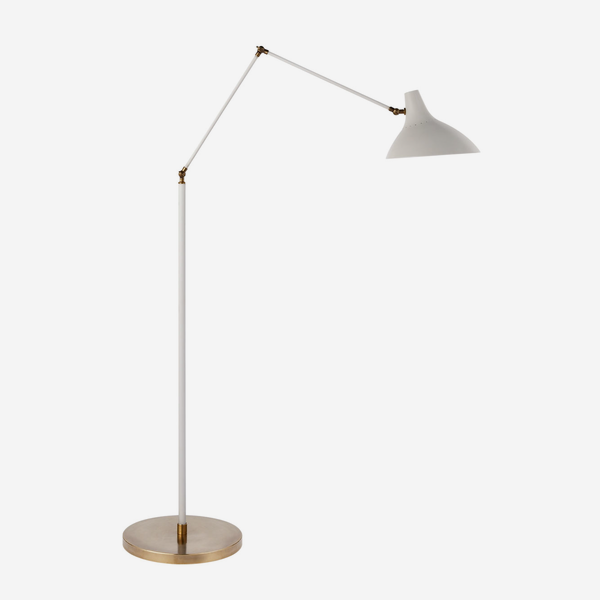 It exudes cool, crafted smoothness with wide spot lighting and adjustable branches, perfect for a contemporary living room, kitchen or bedroom. Also available as a wall light.